Toyota is sponsoring our SoCal local Outrigger California. You ready to fiesta?! 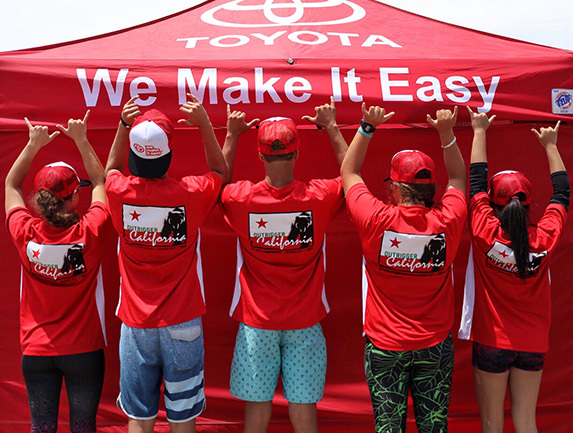 Because at this year’s Fiesta Hermosa, Outrigger California is proud to have Toyota an official sponsor. Stop by our booth to meet the team and be sure to sign up for a FREE outrigger ocean adventure, courtesy of Toyota. Get there early to reserve your spot, and check out info about team and our sponsors below! Toyota welcomes home our junior outrigger team and celebrates their success on the world stage in Tahiti. 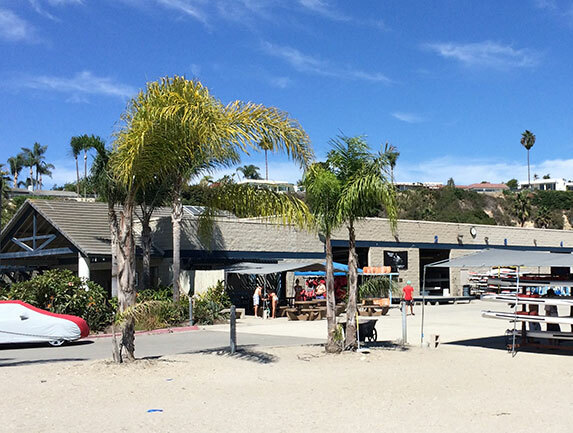 It’s a story worth telling, and we aim to continue to welcome the world to our backyard, in the waters between Catalina and Newport Beach, and for the US National Outrigger Championships in September. John Puakea is the founder of Puakea Designs, an innovative paddle sport design company that delivers products and services to both recreational and elite-level paddlers. 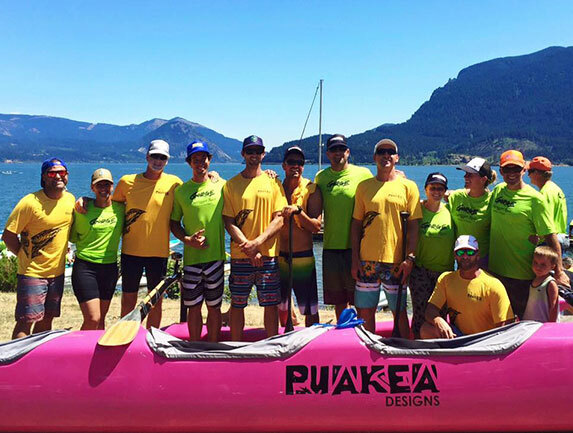 Puakea Designs riders include world-champion paddlers Danny Ching, Jimmy Austin, and Lauren Spalding. John is an internationally sought after canoe builder, as well as a championship-winning paddling coach. At just 30 years old, Danny Ching has solidified himself as the premier paddle sports athlete in Southern California and is recognized worldwide as a skilled waterman. By the age of 15, Danny was racing with Lanakila’s top men's outrigger team, leading them to top finishes locally and in Hawaii. Among many other accolades, he won the Outrigger World Championship in 2010 and 2013. The Newport Aquatic Center was founded in 1982 and built in 1987.  A non-profit corporation, the center offers the public unique opportunities in Olympic water sports including rowing, canoeing, kayaking, and outrigger canoe competition. Paddlers and rowers of every age and level of ability use the NAC to sharpen their skills in a wide range of water sports. Wanna tear up the beach in your own Toyota? Your Southern California dealer makes it easy. Copyright Toyota & Outrigger California 2017. All rights reserved.